The Coordinators ministry is dedicated to facilitating communication between the Pastors, church leaders, and ministry teams. We aim to keep things running smoothly in the background by providing administrative support and centralizing information for our church. If you have a question about anything at church, our Coordinators team can point you in the right direction! The Remnant dance ministry aims to glorify Christ through worship and creative dance. We are dedicated to growing in relationship with the Lord, worshipping through dance, and encouraging the community with the truth of the Gospel. The Events Ministry seeks to glorify Christ by fostering unity, fellowship and community within the congregation of Remnant Church through church-wide events. The team creates opportunities for people, both new and regular attending members, to connect, worship and serve together (and each other). The Intercessory ministry is our prayer team. We seek to be sensitive to the leading of the Holy Spirit and pray for a deeper understanding of the Father's heart for our church. Our desire is to see God's kingdom at work here on earth through people's lives by persevering in prayer. We minister to our congregation by praying over any and all requests both during service and throughout the week. Graphics/Multimedia team at Remnant seeks to serve our church and glorify God by serving Remnant with creativity and visual arts. We provide consistent and active communication tools to stay connected throughout the week: updating our church website, SMS accounts, monthly newsletter, and providing posters and photos for all ministries’ events and announcements. The mission of Mustard Seed is to lay Christ as the foundation in our children’s hearts so that they can live lives that are holy and pleasing to God. We seek to foster this by loving our children, teaching about Jesus, and partnering with their parents to plant seeds that God will grow. Remnant Youth Ministry is a youth group of 6th-12th graders whose vision is to be "one community filled with God, living for God!" We love to worship, hang out, and know more of Jesus! The Welcoming team is comprised of young adults and college students who have a heart for serving newcomers. We meet Sunday mornings before service to pray and usher in our congregation so that they feel the warm and inviting presence of God as they prepare their hearts for worship. Empowered, Remnant Women’s ministry, believes that true transformation can happen through sharing and praying for one another, and we want to create a community for women to fully understand who she is in Christ to equip them for the Great Commission. The worship ministry includes the worship leaders, singers, instrumentalists and sound engineers who serve the church through their music making and support of our Sunday worship services and other special events. Our role is to help create an environment where people can engage with God, both in expressing their worship as well as receiving the ministry of the Holy Spirit through the exercise of our musical gifts and spiritual discernment. 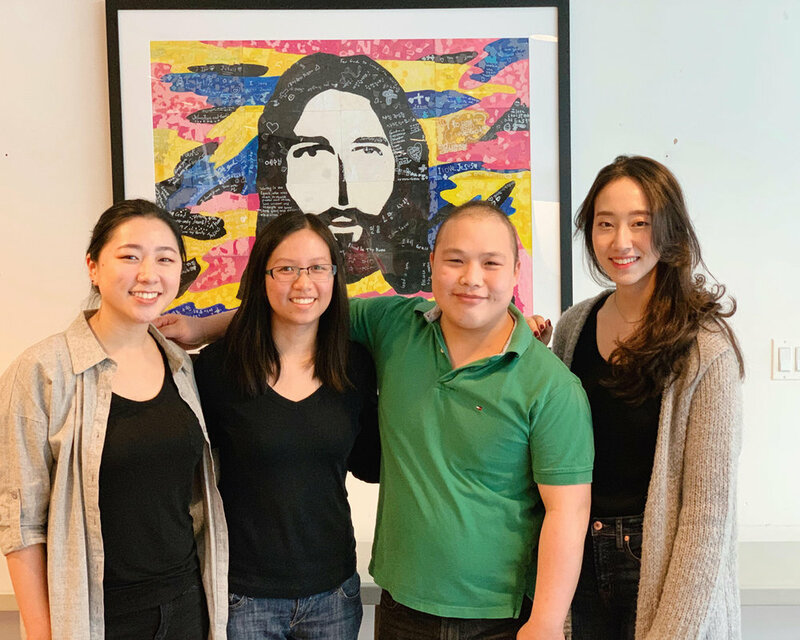 The Vine Ministry is a tutoring ministry that reaches out to families in the Kips Bay community through tutoring students and sharing the message of Christ with them. Tutors and students gather on Saturday mornings for two hours, including a time of worship and hearing the Word of God.